In the wake of the Copa Libertadores final being relocated to Santiago Bernabeu, we take a look at the most notable European finals played at this iconic stadium. – Santiago Bernabeu turned out to be a lucky charm for Italy, who won their second World Cup title in 1982 by defeating West Germany at Real Madrid’s stadium. In typical fashion, the Nerazzurri struggled in the group stage, drawing all three of their matches and finishing second behind Poland. That pitted them against Brazil and Argentina at the next stage. The Italians were seen as the outsiders of the three, yet two victories versus the South Americans (the second one of which saw player of the tournament Paolo Rossi score a hat-trick against “the best team to have never won a World Cup” Brazil) meant they were headed for a rematch with Poland in the semi-finals. Two more goals from Rossi secured a spot in the final, where Italy’s players were on top of their game and beat a West Germany side that knocked out Michel Platini’s France in a thrilling 3-3 semi-final, the first to be decided by a penalty shootout. The final score was 3-1 in a game played in front of 90.000 spectators inside Spanish capital’s main venue. 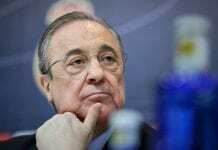 – Despite his awkward tenure as Real Madrid manager, Jose Mourinho must have fond memories of Santiago Bernabeu, as it was the place where Inter became the first Italian team to ever complete a treble. It was the culmination of probably Mourinho’s best coaching season, as his stingy, counter-attacking tactics paid off, in large part thanks to the goalscoring prowess of Diego Milito. The Argentinian found the net twice in the 2-0 victory against Bayern Munich. Interestingly enough, the Bavarians were also chasing a treble and would’ve also become the first team from their country to complete the extraordinary accomplishment. Mourinho went out on a high and quit Inter after the tournament, instead signing a lucrative contract with none other than Real Madrid. 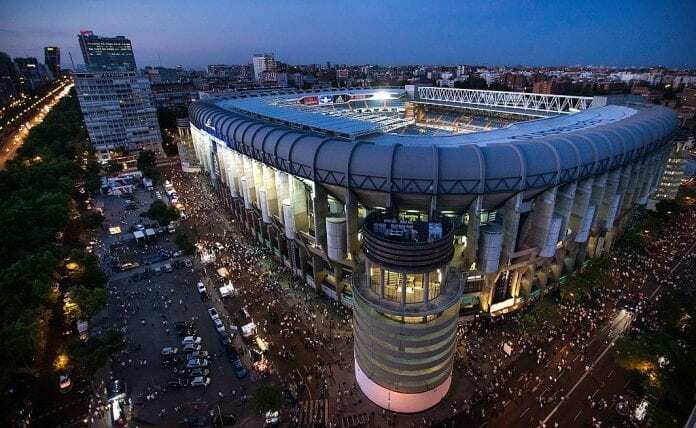 Other European finals played at Santiago Bernabeu were the 1957 and 1969 European Cup finals (now known as Champions League) and the 1985 UEFA Cup final. The winner of that 1957 finals match was Real Madrid, who got the best of Fiorentina (2-0) in front of 124.000 viewers. AC Milan was the winner of the 1969 final, defeating Ajax convincingly (4-1). Real Madrid was part of the 1985 UEFA Cup final, which it won on aggregate (3-1) against Hungary’s Videoton.